Full flow spin on oil filter kit. Fits all Sportster models 1957-77. Chrome plated heavy gauge filter bracket replaces and mounts to where the left front motor mount goes. 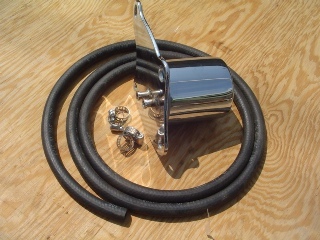 Includes disposable chrome spin on oil filter and all the required hoses and clamps for installation.